Although scientific professional archaeology took root in North America during the 19th century, it did not really flourish in Québec until the second half of the 20th century. At first restricted to the work of researchers and government departments, it eventually became better known to the public through museums and interpretation centres. In 1972, the Québec government passed the Cultural Property Act and the Environmental Quality Act, which reinforced the status of archaeology and promoted its practice by facilitating large-scale archaeological projects and emphasizing the importance of conserving and protecting our archaeological heritage. As early as 1850, archaeological activities were carried out by certain scholars and scientists in Lower Canada, as Québec was then called. Among the most noteworthy were geologist J. W. Dawson and Narcisse Faucher de Saint-Maurice, a politician and man of letters. By chance Dawson discovered traces of an Amerindian occupation near McGill University in 1860 and believed it to be the remains of the village of Hochelaga, visited by Jacques Cartier in 1535. Faucher de Saint-Maurice published numerous articles on this subject. In 1878, he supervised excavations on the site of the former Jesuit’s college in Québec City. Today he is considered to be the forerunner of historical archaeology as it is practised today in Québec. The Montreal Numismatic and Antiquarian Society was founded in 1862. It is one of the oldest Montréal institutions to be involved in heritage protection and presentation. Several of its members, including lawyer William D. Lighthall and architect Aristide Beaugrand-Champagne, gained renown in the course of their lives. Lighthall was particularly interested in Amerindian burial sites and published an account of Montréal’s prehistory in 1929. Beaugrand-Champagne, too, was fascinated by traces of Amerindian occupations. He worked with Lighthall and William J. Wintemberg on the Iroquoian site at Lanoraie, in the Lanaudière region. Wintemberg is considered the father of Canadian archaeology. He travelled throughout Québec in the 1920s and 1930s, locating several old Amerindian sites in the St. Lawrence Valley and on the North Shore and the Magdalen Islands. Further research in Québec was carried out by archaeologists like Harlan I. Smith, Douglas Leechman and Edward S. Rogers, who worked at the National Museum of Canada, as the Canadian Museum of Civilization was known at the time, as well as by American, British and Danish archaeologists. Their interests centred around the origins of Amerindians and the Inuit, the chronology of the land’s occupation and how populations adapted to their environments. Québec archaeology gained ground rapidly between 1960 and 1970, during the socio-cultural movement known as the Quiet Revolution. The first official structures were put in place at this time. Archaeology began to be taught in universities, while the Québec government established an archaeology and ethnology service. Archaeological societies and museums were founded and archaeological publications appeared. The federal government also played an important role through its National Historic Sites service. Photograph by Archéo-Québec, Éric Piché. Coteau-du-Lac National Historic Site, Parks Canada. The 1970s represent a special period in the development of Québec archaeology. Field research programs were set up throughout the province. The Cultural Property Act came into effect in 1972, followed by the Regulation respecting archaeological research. This was also the period when the Ministère des Affaires culturelles began to make an inventory of archaeological sites in Québec. The first field school for students in prehistoric archaeology was organized by the Université de Montréal at the Pointe-du-Buisson site, in Beauharnois. In the wake of the Cultural Property Act and the Environmental Quality Act, consulting firms appeared and large-scale projects were undertaken in the James Bay, Ungava Penninsula, North Shore and Gaspésie regions. It was also at this time that excavations were carried out at Place Royale, in Québec City, and at the Forges Saint-Maurice, north of Trois-Rivières. Underwater projects were also conducted. 1979 saw the creation of the Association des Archéologues du Québec. All this research throughout Québec gave further impetus to the development of prehistoric and historic archaeology. Urban archaeology was initiated in Québec City and Montréal. Hundreds of research articles were published in the journals Recherches amérindiennes au Québec, Inuit Studies in the Dossiers et Cahiers du Patrimoine series, issued by the Ministère de la Culture et des Communications, and Paléo-Québec. In this period, Quebeckers discovered the astonishing wealth of an archaeological heritage lying buried for thousands of years. In the following decade, a number of summary reports and analytical studies were produced for several major excavation projects that were now completed. Other projects were initiated in various regions of Québec, particularly on the Lower North Shore and in the Lac Saint-Jean region. New field schools were organized for archaeological students at Grandes-Bergeronnes, on the Upper North Shore, and at the Intendant’s Palace, in Québec City. From 1985 to 1987, Parks Canada conducted a dig beneath Québec City’s Dufferin Terrace. In the same period, the City of Montréal enabled the public to visit excavation sites in Vieux-Montréal. 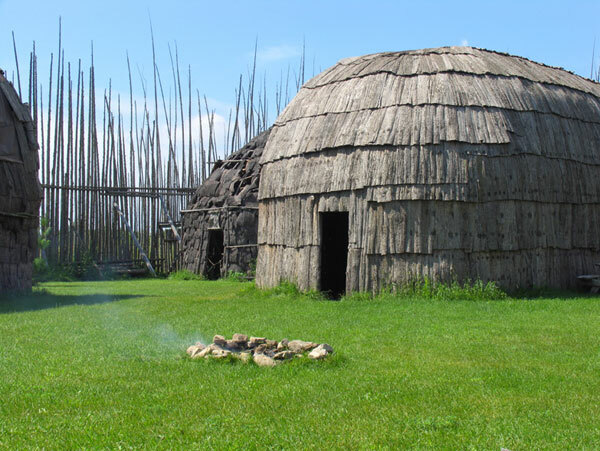 Québec’s first archaeological interpretation centre was built at the Pointe-du-Buisson site, in the Montérégie region. Photograph by Archéo-Québec, Éric Piché. Pointe-du-Buisson/Musée québécois d'archéologie. Archaeologists were hired by the Ministère des Transports, the City of Québec and the City of Montréal. It was at this time, as well, that the James Bay Cree set up their own archaeological program. The work of consolidating structural remains and restoring artifacts was supported by the expertise provided by the Centre de conservation du Québec. During the 1980s, under the influence of the Act Respecting Land Use Planning and Development, the Ministère des Affaires culturelles gave extra encouragement to the regional development of archaeology, which in turn made ordinary citizens more aware of this heritage. Projects were carried out throughout the province. Some of them focussed on the early peopling of the land in the Témiscouata, Gaspésie and Québec City regions. In the Abitibi region, Corporation Archéo-08 carried out a series of regional studies. The Iroquoian world was researched at either end of the St. Lawrence Valley, at the mouth of the Saguenay and at Saint-Anicet. 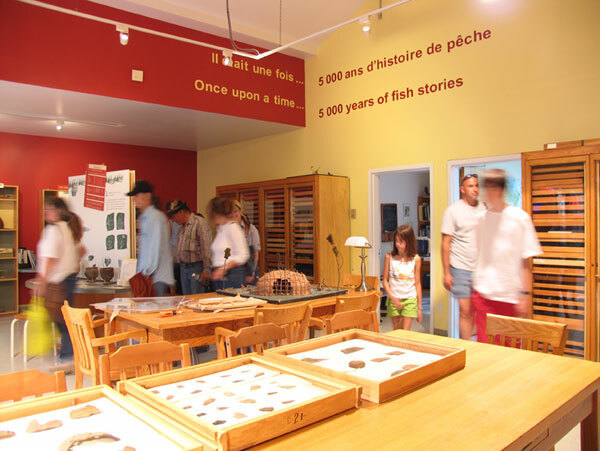 Interpretation centres were opened at the Pabos site, in the Gaspésie, and at the Droulers site, in the Montérégie region. Another was launched by Archéo-Topo at Grandes-Bergeronnes on the Upper North Shore. Photograph by Archéo-Québec, Éric Piché. Centre d'interprétation du Site archéologique Droulers-Tsiionhiakwatha. In 1993, the National Capital Commission undertook research in Lac Leamy Park, in Gatineau, where a site dating back more than 4000 years was found. Underwater archaeology also saw rapid development. In 1995, Parks Canada undertook the excavation of the Elizabeth and Mary, a ship that sailed with Phips’s 1690 fleet but was wrecked at l’Anse aux Bouleaux, on the North Shore (Operation Phips). More than 4000 artifacts were removed from the sunken ship and treated by the Centre de conservation du Québec. The project represented an exceptional discovery. Interdisciplinary research became more important, as archaeologists increasingly sought answers in other scientific fields such as zooarchaeology, palynology, the study of botanical macro-remains and physical-chemical analyses of material. Programs for conducting inventories of streets and underground networks led to significant discoveries in the historic districts of Montréal, La Prairie, Québec City and Trois-Rivières. New archaeological publications – Mémoires vives, Archéologies québécoises, Paléo-Québec, ArchéoLogiques and Cahiers d'archéologie du CÉLAT – appeared, testifying to researchers’ productivity. As part of a movement to promote public awareness of archaeology, the ARCHÉO-QUÉBEC NETWORK took concrete action and arranged for dozens of sites and digs to be made accessible each summer. The Montreal Museum of Archaeology and History at Pointe-à-Callière was opened in 1992; in 2002, it initiated a historical archaeology field school on the site where Montréal was founded, in collaboration with the anthropology department at the Université de Montréal. The history department at Université Laval, which had previously organized historic archaeological field schools on sites at Îlot des Palais, Îlot Hunt and Domaine Maizerets, initiated another on a site in La Prairie, on the south shore of Montréal. Photograph by Normand Rajotte. Pointe-à-Callière, Montréal Museum of Archaeology an History. In 2006, a large-scale archaeological project was undertaken by the Québec government on the Cartier-Roberval site, at Cap-Rouge, west of Québec City. This unique 16th-century historic site bears witness to the earliest attempt made by France to establish a settlement in the St. Lawrence Valley. Since its beginnings in the 1960s, Québec archaeology has gained maturity in both the historic and prehistoric fields. It can be said that the province has developed an archaeological tradition. Today, through the efforts of the Archéo-Québec Network, over 100 organizations and individuals have joined forces, seeking to increase public awareness and appreciation of the discoveries made by researchers over the years and, in this way, to help preserve Québec’s archaeological heritage. Opening of the Maison Nivard-de-Saint-Dizier Museum and Archaeological Site in Montréal. Adoption the new Cultural Heritage Act by the Québec government. Opening of the Aanischaaukamikw Cree Cultural Institute in Oujé-Bougoumou, in Northern Québec. Opening of the archaeological collections reserve of the City of Montréal. Opening of the Droulers-Tsiionhiakwatha Archaeological Site Interpretation Center in Saint-Anicet, in the Montérégie region. Establishment of the ARCHÉO-QUÉBEC NETWORK. Opening of the Centre Archéo-Topo, an interpretation centre devoted to ancient Amerindian archaeology and history in the Upper North Shore region. Conference of the ICOMOS International Committee on Archaeological Heritage Management held in Montréal, with the theme of Archaeological Remains In Situ Preservation. Opening of the Interpretation Center of the Pabos historic and archaeological site. Founding of the Centre de référence lithique du Québec (Québec lithic reference centre). Inauguration of the Laboratoire et de la Réserve d’archéologie du Québec (Québec archaeological reserve and laboratory) and the Centre de Conservation du Québec (Québec conservation centre), where the archaeology-ethnology lab provides artifact restoration and conservation services. Opening of the Pointe-du-Buisson archaeological park, at Melocheville, presenting Amerindian history in the St. Lawrence Valley. Opening of the Battle of the Restigouche National Historic Site of Canada, presenting a major event in the British conquest and showcasing artifacts recovered from the wreck of the Machault, which sank 1760. Inauguration of an archaeology department in the Avataq Cultural Institute. Opening of the Métabetchouane Interpretation Center, in Desbiens, becoming the Métabetchouane History and Archaeology Center in 1996. Opening of Fort Chambly National Historic Site of Canada. Establishment of the Ostéothèque de Montréal, a research centre devoted to zooarchaeology and the presentation of Québec’s osteological collections. Establishment of the Avataq Cultural Institute. Establishment of the Association des archéologues professionnels du Québec (AAQ) (Québec association of professional archaeologists). Founding of the first archaeology firm in Québec, Les Entreprises Archéotec Inc., a research centre devoted to archaeology and geomorphology. Canada ratifies the UNESCO Convention Concerning the Protection of the World Cultural and Natural Heritage. Adoption of the Regulation respecting archaeological research, which sets out the conditions for obtaining archaeological research permits and presenting annual reports. Adoption of the Environmental Quality Act, which strengthens measures for protecting archaeological heritage through impact studies. First issue of the journal Recherches amérindiennes au Québec. Students at the Université de Montréal establish the Société d'archéologie préhistorique du Québec (S.A.P.Q.) (Québec prehistoric archaeology society). Opening of the Trois-Rivières archaeology museum, founded by René Ribes. In 1996 it would become part of the Musée des arts et traditions populaires (Museum of folk art and traditions). Establishment of an archaeological service at the Ministère des Affaires culturelles du Québec. McGill becomes the first university in Québec to engage an archaeologist-geologist, Gordon Lowther, as a professor. In 1955, he publishes the first summary of archaeological work carried out in Québec. Founding of the Association canadienne-française pour l'avancement des sciences (ACFAS) (French-Canadian association for the advancement of science). Adoption of the Bill Concerning the Conservation of Monuments and Art Objects having an Historic or Artistic Interest and the creation of the Historic Monuments Commission of Québec, which in 1972 becomes the Commission des biens culturels (Cultural property commission) and then, in 2012, the Conseil du patrimoine du Québec (Québec heritage council). 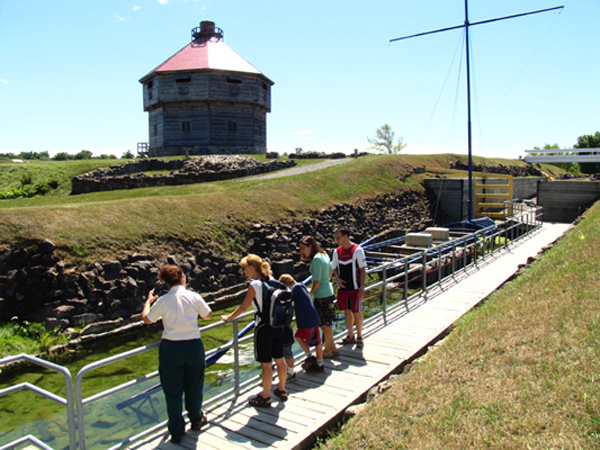 Establishment of Fort Lennox National Historic Site of Canada, the first such site in Québec. For more than ten years, archaeologist William John Wintemberg of the National Museum of Canada, in Ottawa, explores the St. Lawrence Valley, the North Shore and the Magdalen Islands. His discoveries include sites in Lanoraie, Batiscan, Tadoussac, Mingan, Kegashka and Brador. Opening of the Château Ramezay museum by the Montreal Numismatic and Antiquarian Society. The Montreal Numismatic and Antiquarian Society publishes the journal The Canadian Antiquarian and Numismatic Journal. Founding of the Montreal Numismatic and Antiquarian Society. First archaeological publication by Sir John William Dawson. Archaeological procedure: a scientific approach!